Vivial is the only marketing provider in the industry to offer a robust and proprietary online, mobile and social media platform. It is designed to connect local businesses with their target audience with consistency in communications across all channels. The company, which was originally founded as a yellow page publisher in 1910, has always been a leading provider of local search and marketing solutions. In 2016, the company completed a 5-year digital transformation strategy. At this time, the company was relaunched under the Vivial brand and quickly rose to the top of the martech (marketing technology) stack. Knowing that customers want a seamless experience, Vivial saw the opportunity to help formulate the martech industry. Vivial is a community of the best-of-breed technologies and talented people working to simplify the process and help businesses find, reach and build loyalty with customers. No Marketing Experience? No Problem. Vivial increases visibility, builds loyalty, manages content and tracks results for customers across a variety of industries, including restaurants, real estate, fitness, insurance and more. It serves hundreds of thousands of local, national and enterprise customers through direct and indirect channels. Vivial works behind the scenes so that their clients can get back to running and growing their businesses successfully. Vivial understands the challenges business owners face in today’s marketplace. It is a complicated task for business owners to learn, let alone stay ahead of the vast array of digital marketing technologies in the marketplace. This is where the SaaS-based marketing platform developed by the company plays its role making it easy to manage all aspects of digital marketing in one simple platform. The Vivial Marketing Platform allows businesses to engage with customers via text messaging, advertise on Facebook and Instagram, request and monitor online reviews, track Google rankings and correct local online business listings all from one convenient dashboard. Vivial’s suite of solutions also includes responsive website development, local search optimization and online advertising. Vivial’s offerings help SMBs attract, engage and retain customers in the highly mobilized, uber-competitive online marketplace. It’s like having a full-fledged marketing department on staff to plan, execute and respond based on your business’ needs. Along with the company’s service offerings comes the huge added advantage of the on-demand service and support from its experts. This on-demand support team consists of an Account Coordinator to oversee the entire program, from monthly performance monitoring to project management. In addition, the business has access to an entire team of content writers and editors to craft and distribute custom content on behalf of their business. And finally, businesses can also partner with a social media strategist to plan, develop and execute a high performing social media strategy, utilizing Facebook, Instagram, Twitter, LinkedIn and other social platforms. “At Vivial, one of the things we are most proud of is the people behind our products. 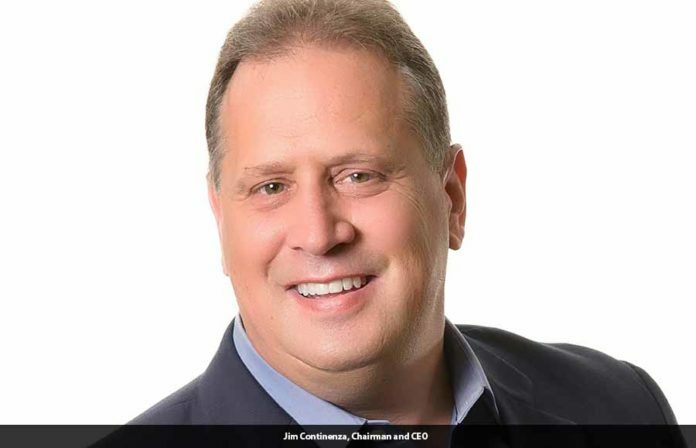 While we strive each day to provide seamless, turn-key digital marketing solutions to our clients and partners, what really sets us apart is our dedicated account team who works around the clock to provide human support to the businesses we partner with every day,” said Jim Continenza, Chairman and CEO of Vivial. Vivial is constantly looking for opportunities to develop, innovate, build and acquire entities that will allow clients to meet the needs of their customers. Earlier this year, the company introduced the Mobile Optimizer to do just that. With the launch of its new text messaging service, Vivial is the first in the industry to offer a robust and proprietary online, mobile and social media platform designed to connect local businesses with their target audience. The Mobile Optimizer brings enterprise-grade technology and network reliability, once only available to Fortune 50 companies, to local and regional business owners. Vivial is always on top of the latest industry trends and conducts research to understand the ways consumer behaviors are changing and how this impacts the businesses that are trying to capture their attention. Vivial develops and implements industry-leading product offerings which enable companies to remain relevant in today’s “now” society. And while today martech revolves around content marketing, social media, texting, and location-based services, it remains a relatively undefined and fluid space. Vivial is dedicated to always listening to the customer to put their needs first, remaining agile and working smarter to compete in a constantly changing digital and mobile landscape. “We are committed to constant innovation. It’s our job to put businesses in front of the consumers searching for their goods and services. This can not be accomplished without innovation,” said Continenza. Bombers CrossFit has worked with Vivial to create and manage their robust online marketing strategy to actively engage with its athlete community. Together, Vivial and Bombers have developed a custom website that allows visitors to view upcoming classes, engage with coaches and learn more about CrossFit and WOD. With the Vivial Marketing Platform, Bombers has successfully created and continues to grow their online presence through custom content, review generation and accurate business information across hundreds of online directories. “Our membership has increased 25%. Our social media and online presence have dramatically increased. I couldn’t be happier with Vivial and especially my personal team,” Andy Kershbaum, Owner.